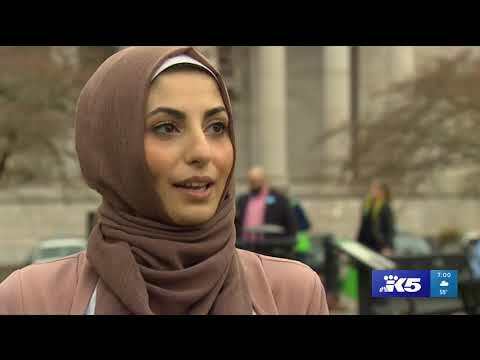 Not caring how offensive they are to Americans, Muslims were [praying] to Allah on the floor of the Washington state capitol building, while making outrageous sharia-based demands on lawmakers. Systematically getting rid of anyone who questions their integrity, as if they had any. The motive is obvious: destroy our culture. Because there seem to be no consequences, Muslim supremacists, increasingly, have been organizing and conducting prayer sessions in a variety inappropriate public places all around America, often blasting the loud and offensive Muslim Call to Prayer which can last several minutes, during their prayer service. FBI Whistleblower Exposes Special Counsel Mueller's Conflict of Interest! There's a shocking backstory that explains the real reason why the Deep State's Mueller is targeting General Michael Flynn. In Islam, zakat - the alms required of every Muslim - can and should be given to further the jihad. So it shouldn't surprise anyone that there are so many jihad-linked charities. Justin Trudeau and his Liberal Government want to change our criminal justice system again. This latest move shows just how soft on crime this government really is.